BNSF began developing and testing a PTC system before the first Congressional mandate made in 2008. 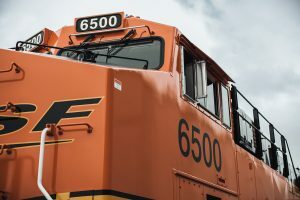 BNSF was the first and only freight railroad to operate PTC starting in 2012 and continues to be the leader in Class I railroad operations with PTC on freight lines. The industry-wide change is arguably one of the most significant changes for railroads – bigger even than the conversion from steam to diesel-powered locomotives.